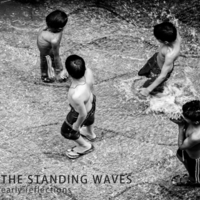 Both standing waves and early reflections are terms to do with the physics of sound waves. The first sounds to reach a listener’s ears from sound waves bouncing off objects are the early reflections and I’m happy to report that the effect evidenced by these ten songs is a tidal wave of pleasure. They are polished and charming examples of a subtle mix of Americana genres – there are touches from all across the map from the reflective sweetness of Last First Person that reminds me of the collective bonhomie of Ida, wisps of Whiskeytown, the Jayhawks, Gram Parsons and Emmylou Harris and even the Avett Brothers. It’s the work of Will Odgers along with producer Jolyon Holroyd, song-writing help from Andrew Claridge and importantly backing and harmony vocals from Debbie Brown. They are all from the South West of the UK but you wouldn’t deduce that from listening to the songs, they exist in Americana, a land of Springsteen and Ryan Adams, where Odgers and Brown become Avett Siblings on The Distance where landscapes are big and empty and where the whole world is a recording studio. There are echoes everywhere; Brother slyly nods to Fleetwood Mac in more than one way, Out On The Waves strays towards the honky tonk whilst maintaining a contemporary feel and lyrics with universal appeal all pulled together into a pretty package with self-effacing harmonies. The record has an easy charm matched with a level of professionalism that lifts it free of any cynical intent. There’s intensity behind An Ocean Apart and a willingness to push for the right sound – it spends its last few minutes wordlessly resolving itself, pushing beyond language and finishing the record with just a short coda of naked strings. There’s bravery too in the instrumental Suite Solitude, which centres on dramatic (at times melodramatic) piano chords tugged at by a wolfish howl of guitars. It’s at odds with the rest of the record, like a feverish dream that you might never have had.